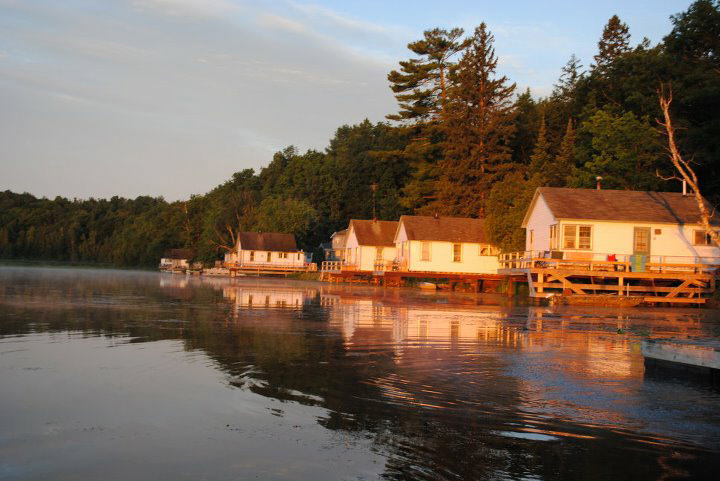 9 of our 10 cabins were built on wood cribs in the water in the 1920’s, 30’s and 40’s . 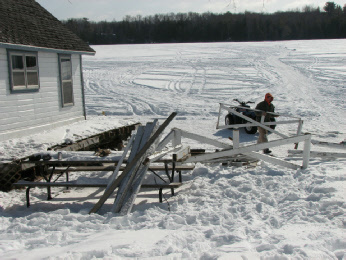 Over the years, the cribs began sinking, and more wood was added to the top of the cribs to keep the cabins level. 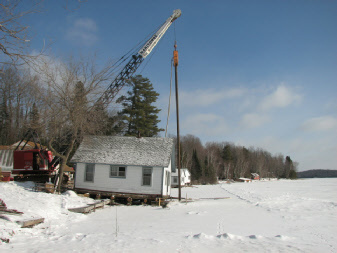 By 2009, that was no longer working, so we began the major task of putting some of the cabins on steel piles. Below are some of the pictures of that work! 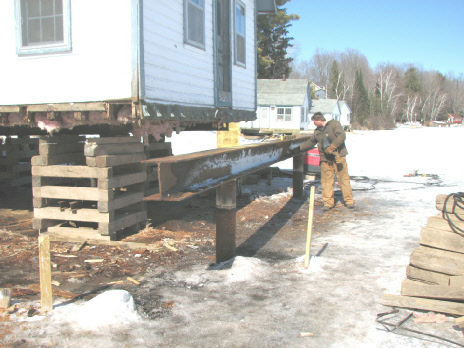 All of the decks and docks were removed from the cabin. 52 foot steel piles were driven into the lake bed and 38 - 43 foot piles were driven into the land. 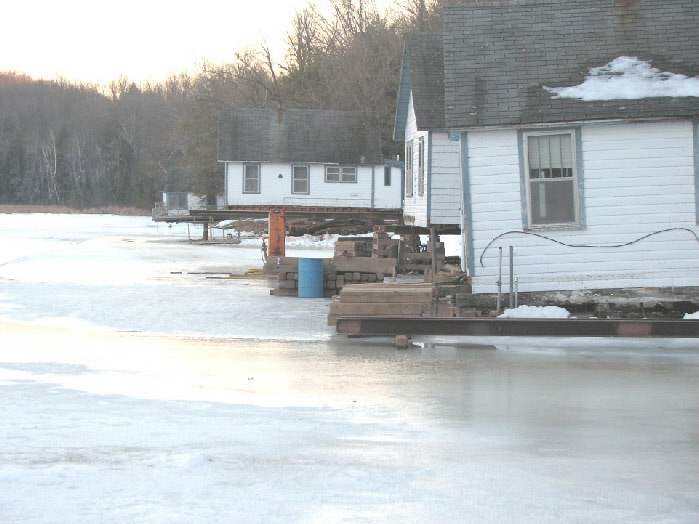 Temporary cribs were built on the ice to hold the cabins. A hydraulic lifting system was used to raise the cabins. Steel H beams were welded on to the piles and smaller beams were welded on to those. The cabins rest on the smaller beams. is done. 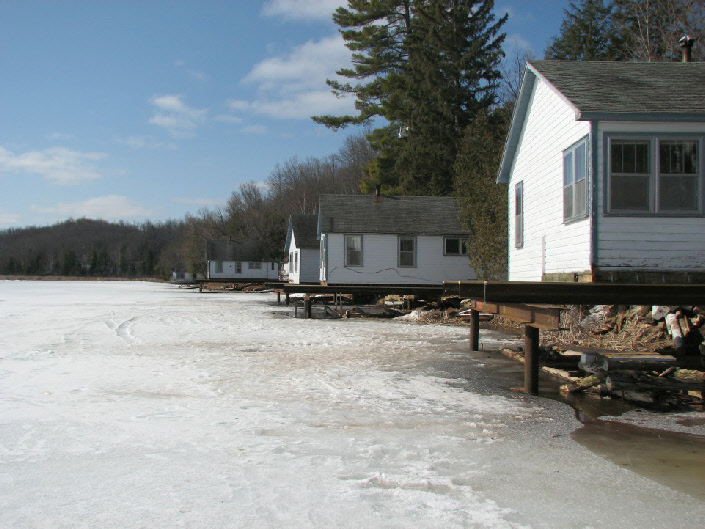 Work on cabin 2 has not yet been started, and you can really see the difference!! .....cabins 1 - 4 look like this! !